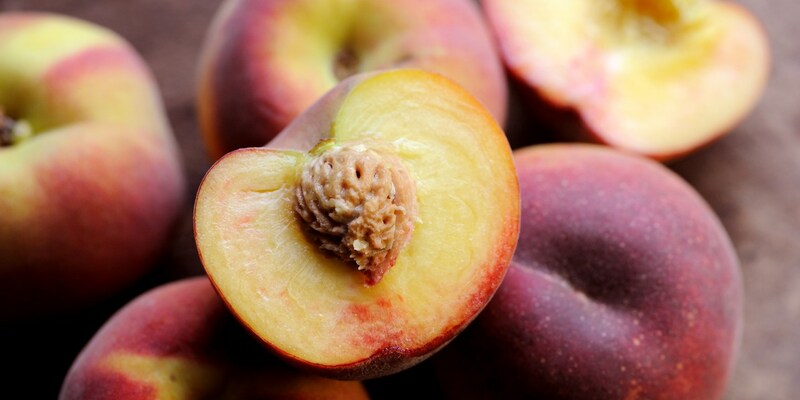 With their giving, sweet flesh, peaches are one of the iconic summer fruits. From homely peach cobbler to the elegant simplicity of a bowl of roasted peaches, this fruit is the key to adding a little sunshine to your summer desserts. Saying that, it's not difficult to elevate the humble peach to a restaurant-quality dish. This collection of peach recipes proves this point, thanks to recipes like Martin Wishart's elegant poached peaches with rosemary cream, a peach melba recipe from Paul Heathcote, and a savoury option of pork and peaches from Steven Smith.